QUOTE: "You want to tell me what's really on your mind?" Preston is the paradigm of the word reliable. He's there when you need him, and he's a steady as he is calm. He worries sometimes about his friend Danny, who's definitely the more impulsive of the two. 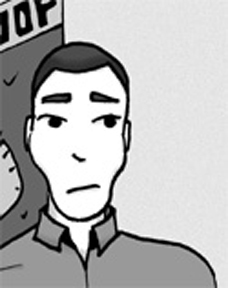 Preston's calm demeanor allows those in his church to tell him anything. His patient nature allows members of his congregation to confess openly about any manner of thing without his brow wrinkling in judgment or saying a harsh word to them. Not the most exciting guy you'll ever meet, but one people are glad to know. With Danny's first wedding ceremony coming up, Preston just wants to help keep his friend calm and do well.